FORAN - All purpose conditioning shampoo. - 1, 2.5 or 5 l.
Lightly scented all purpose conditioning shampoo. 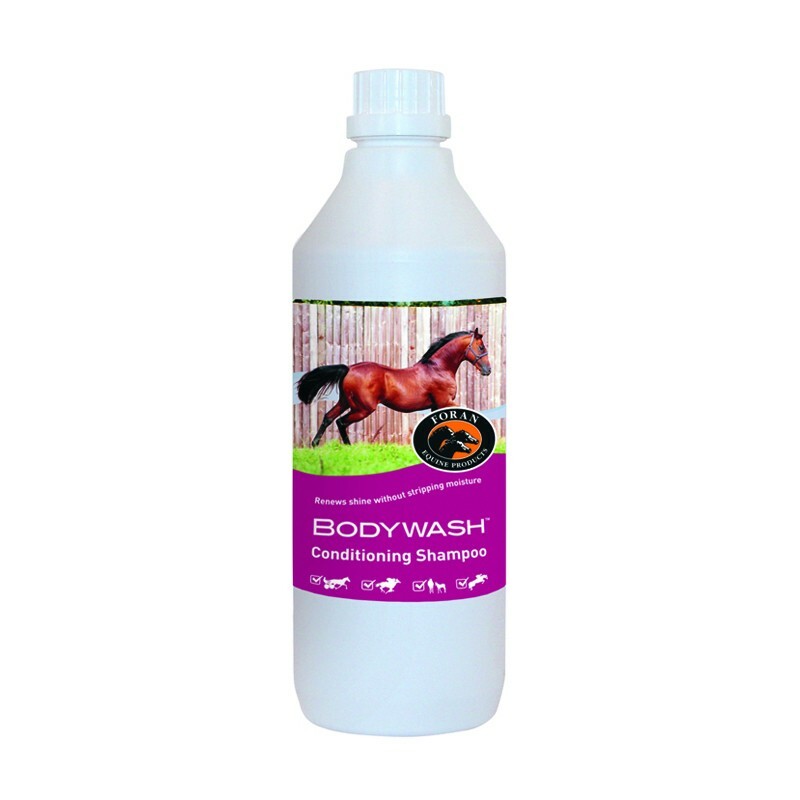 Used with water EQUINE BODYWASH rapidly lathers to effectively remove dirt and dandruff while being mild on skin. Leaves a healthy shiny clean coat. With added conditioners to help detangle mane and tail. Instructions for use : Mix 30ml per 1 litre of lukewarm water. Wash and then rinse thoroughly.